These silk tulips are the perfect gift for all occasions. 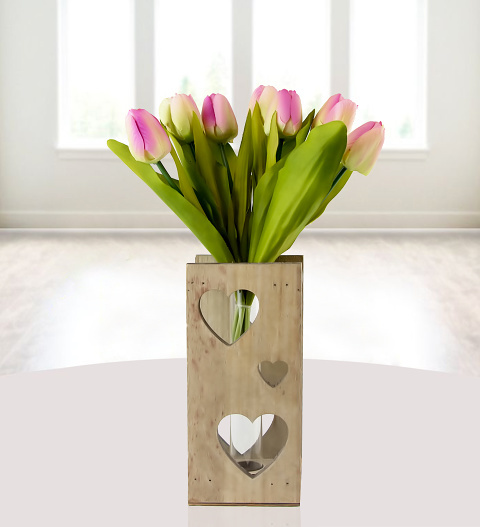 Let a friend or loved one know how special they are when you spoil them with these terrific tulips! These high-quality silk blooms are carefully arranged inside a test tube and wooden crate for that perfect finishing touch. Their long-lasting beauty make them a gift that stands the test of time!